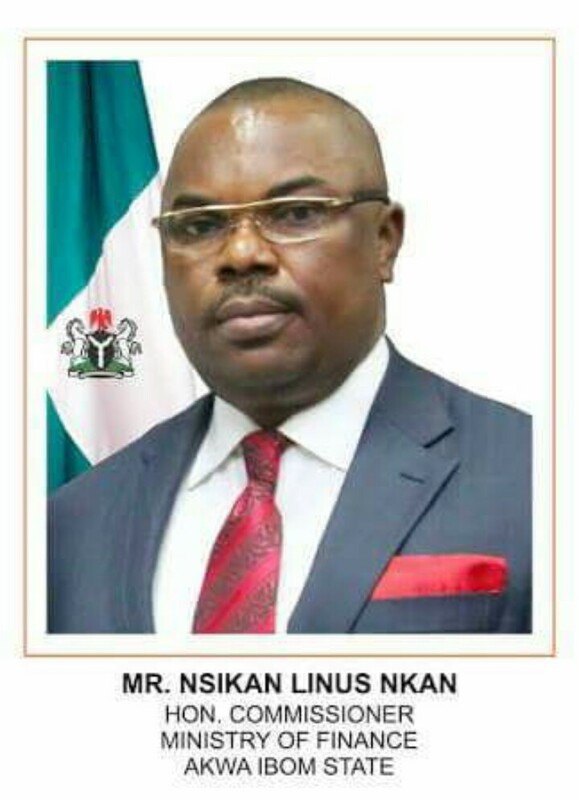 Information pieced together from the EFCC has revealed that the Akwa Ibom State Commissioner for Finance, Mr Linus Nkan has been nabbed by the Economic and Financial Crimes Commission (EFCC) over some fraudulent transactions by the Government of Akwa Ibom State. According to sources at the Economic and Financial Crimes Commission Headquarters in Abuja, Mr Nkan was asked to report in the anti-graft agency office on Monday by 10 am. He is believed to have been accompanied by the Attorney General and Commissioner for Justice, Barrister Uwemedimo Nwoko. We gathered that many officials of the Akwa Ibom State government have been under investigation of the anti-graft agency for fraudulent transactions of the state government. Among those being investigated are the Commissioner for Works, Mr Ephraim Inyangeyen, the Commissioner for Housing and Special Duties, Mr Akan Okon and the Commissioner for Finance, Mr Linus Nkan. We gathered that the Attorney General had undertaken to produce the said officials under investigation when required by the Commission. A Government House source in Uyo confirmed to our reporter that in the past few weeks many officials of the Akwa Ibom State Government have kept a date with the EFCC in Abuja and made to answer questions about suspicious money transfers from the coffers of the State government estimated at N6 billion. It was not immediately known if Mr Nkan will be detained or released after interrogation but we gathered that in the coming days some of the officials that have not provided satisfactory answers to the anti-graft agency will charged to court for fraud.